If you want your eyes to stand out, you need to have great skills when you do your eyeshade makeup. It’s a little bit frustrating when our eye makeup doesn’t turn out the way we want it to be. 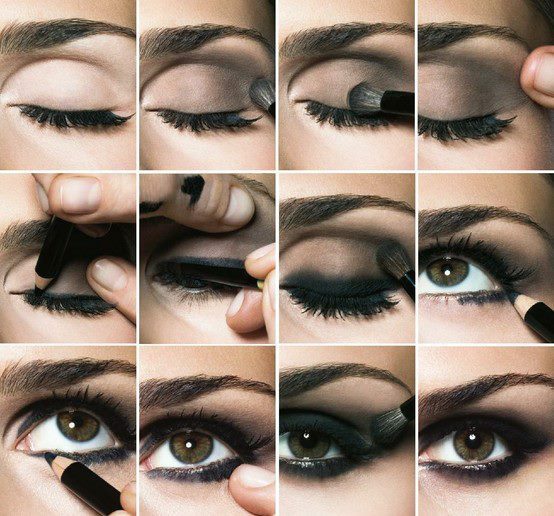 We’ve got some helpful tips here below that can help you improve your eye makeup skills. First thing you have to consider is the color you will be picking. It doesn’t have to be the same with your eye color. What is important is that whatever color you choose, it has to match your eye color and will look great on you. For example, if you green eyes, try using shades of purple and see which shade looks perfect on you. Another, if you have brown eyes, since brown is neutral, any color should look best on you. Another thing, when choosing colors, it has to coordinate with what you wear. Common mistake of women is that they use same color of shadow with that they wear. Never ever do those, you’ll end up looking like a clown. Also, it has to fit the occasion that you’re attending to. Don’t wear too much makeup during business meeting, and wear little to no make on your first date. Choose three colors of your choice. Categorize them into three, light, medium and dark. Light colors are the first to be applied. It has to cover entire eyelid going to your brow bone. Next, wear the medium shade, apply it on the crease. Start from the outer corner of the eye going inside. Remember to blend it well with the first color. Don’t put too much color in the inside corner of the eyes, it will look gaudy and loud. Then the last to be applied is the dark shade. Apply it on the upper lash line and on the lower lash line. It needs a little practice to master this step and leaking of eyeshadow is just normal part of the process. All you need to do is to conceal it by applying medium shade of eyeshadow. Always start your eyeshadow makeup with a base or eye primer. Though you may skip this, it is best not to because it helps the eye shadow to wear and last longer throughout the day. If fine lines are already visible, stay away from shimmery eyeshades, it will just make fine lines more visible.